MR RICH is not just the Super Scientist he is also a semi pro soccer player and coach. 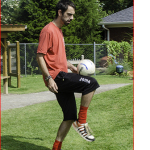 He offers great soccer classes held at your location, inside or out, for all abilities and ages. We charge $75 per session and visit 6 to 8 times. 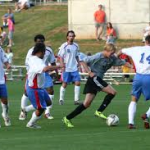 Mr Rich (Richard Askey) has played for Derby County, Lincoln City, Burton Albion, Rocester FC, Martin Methodist College, Nashville Metros, and is currently playing for Nashville FC in the NPSL. Rich has coached for 12 years and was the youngest ever coach (26 years old) in the PDL semi pro. He has also coached College, Travel, High School, Rec and overseen multiple soccer camps.